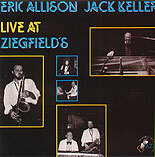 "The title sets the mood and Eric Allison's music lives up to the Erskine Hawkins '40's hit. "This is a fun recording that succeeds as both a good-time party record and as a set well worth several close listens. 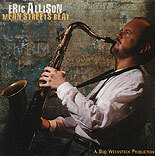 "While stylistically diverse, the connecting thread in Mean Streets Beat is a joyful, sturdy sense of swing. 7. Proque Me Miras Asi? This CD was recorded live at a concert presented by pianist-composer Dave Burns, at the Tennessee Williams Theatre in Key West, Florida. The show featured a program consisting exclusively of songs written by Burns. A well-known musician in the South Florida area for some thirty-five years, Burns is less recognized as a composer although if asked, he will tell you that he thinks this is his real strong suit. 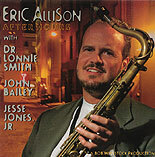 Saxophonist Eric Allison was chosen for and was obviously up to the task of interpreting Burns' tunes.